designed to help expand your comfort zone. This light, slim and portable journal is comfortable for carrying around or tossing in your bag. Each page features a unique prompt and open space to record your adventures. Customers love capturing memories through journal entries, random notes, clippings, stubs, and photos. 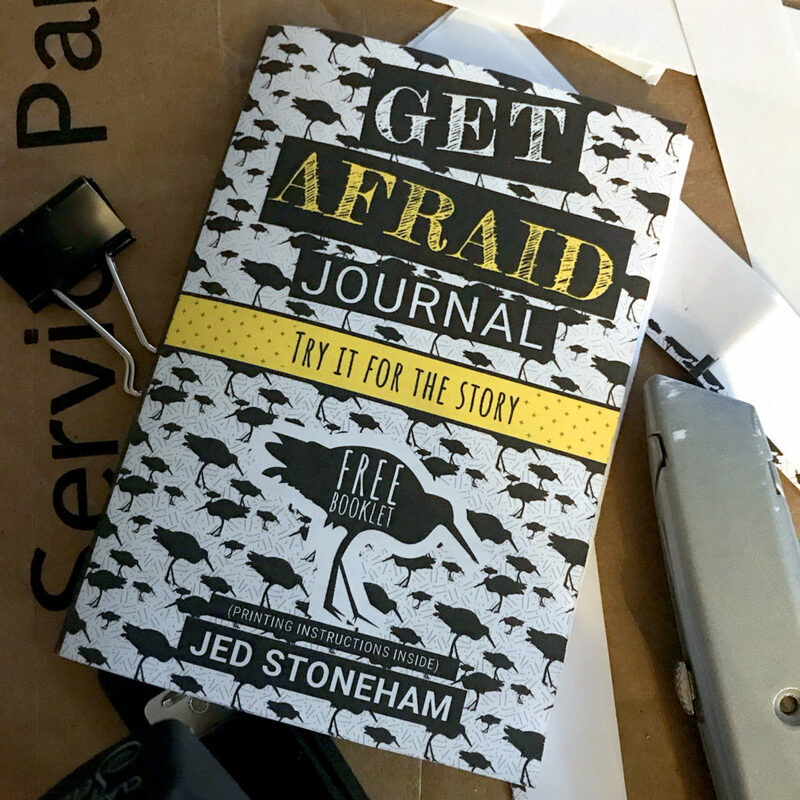 Journal entries, drawing prompts, and more to motivate you to push your boundaries. What do you want to try? Each journal features prompts to fill in the blank and create your own unique goals. 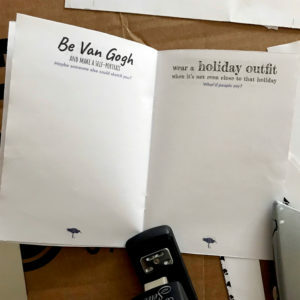 Convenient 5.25” x 8” size is perfect for your purse or backpack. Subtle dot-grid pages for easy writing, sketching or doodling. Your Mom, Dad, son, daughter, niece, nephew. Anyone who’s looking to get a bit silly and have fun. 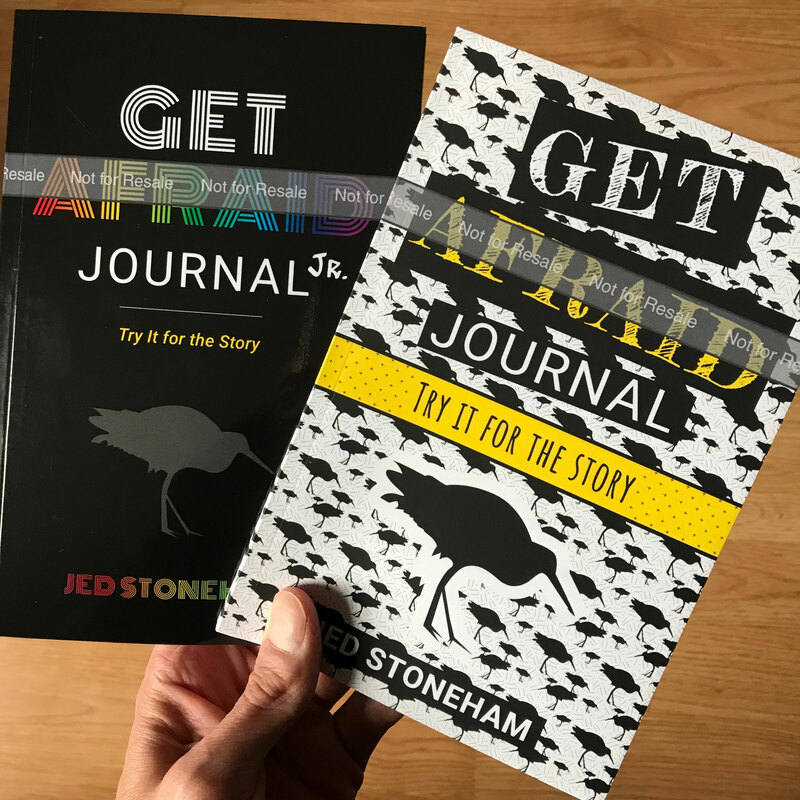 Get Afraid Journals are even more fun with friends. Try a challenge together and see what happens! Draw, sketch and illustrate your adventures. Trips to museums, solo hikes and more. Record your favorite memories. Add stickers. Collect tickets. Perfect for daily journaling after trying something new. It’s your journal! Don’t be afraid to make it yours. Jed Stoneham, has been a writer and designer since 2005. His work has been featured on Boing Boing, AOL, and MetaFilter. He is a Graduate of the Second City Comedy Writing Program and the Second City Beginning Improv Program. *Information and details subject to change upon publication.